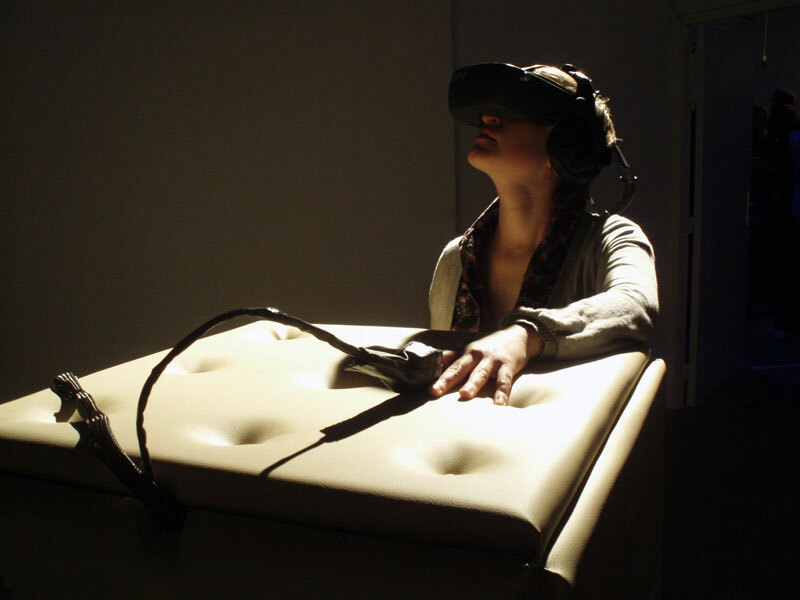 Psychotik Room is an interactive installation in which the viewer is immersed in a psychiatric isolation room with 3D glasses. By dint of motion sensors and heartbeats sensor, the 3D environment and sound are modified in real time. 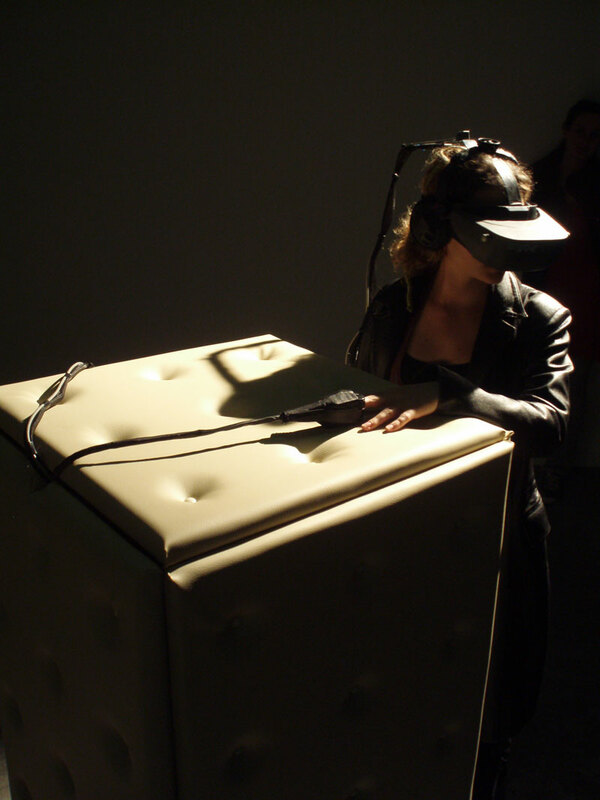 This installation established relationship between new media’s immersion, and social isolation of the individual. Thus underlining the frailty of human body confronted with today’s world, in a sterile hospital universe, out of reality, referring to the horror films aesthetic. This installation offers to the viewer a moment of deep closeness and meditation, in a 3D universe modified under corporal’s pressure which may cause claustrophobia feelings. 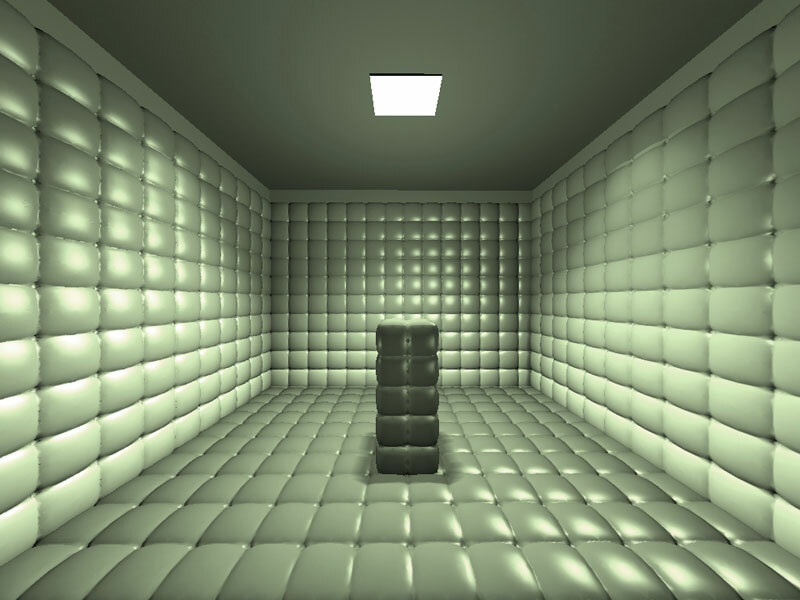 Psychotik Room (V2) is an installation developed during an artistic residency at the ECM Kawenga in Montpellier (France), in March 2009, with support for the multimedia creation, from the Region Languedoc-Roussillon. This entry was posted on Saturday, January 26th, 2013 at 10 h 15 min and is filed under Non classé. You can follow any responses to this entry through the RSS 2.0 feed. Responses are currently closed, but you can trackback from your own site.